Immediately after Pelosi finished, Rangel stepped to the mic and gave a little speech, trying to contextualize this before anyone else could. He later said the discipline of him was “very, very, very political,” related to the current environment. I’m unconvinced. The investigation began in 2008 and the saga concluded today. The whole time the House has been in Democratic control. Guess what? 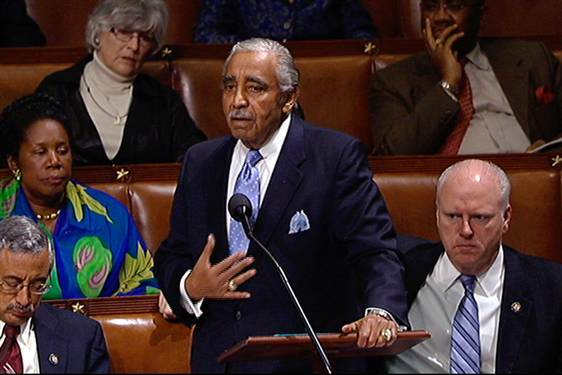 I agree, but Congress didn’t humiliate Rangel. He humilated himself. Even so, I don’t think what we saw today was all that humiliating. It’s not like he was called out during the State of the Union or anything. Sure, he had to stand there and take it in front of his friends and colleagues, which is uncomfortable for him and disappointing to fellow members who are supposed to conduct their parliamentary service with honor, but it was not that bad. Don’t get me wrong, I wouldn’t want it to happen to me, but I also wouldn’t do all that shady stuff he did. Rather, the true shaming was the media coverage he endured in front of the people (and perpetuated against himself by his denying comments and actions). The main reason for my agreement is because humiliation is simply not a sufficient deterrent. It is not effective. The consequences do not adequately dissuade (or punish) poor conduct and illegal action. The public has long been under the impression that there are too many unkosher agreements and sweetheart deals among lawmakers. And while I’m not a capital punishment advocate, I can plainly see the difference between what awaits an average citizen who gets caught and a member of Congress. Can you imagine if everyone were treated like the latter? “Will Rangel – who has been found guilty of 11 ethics violations – be scolded in person, or will he be scolded in writing? That’s all. The first option is called a censure. 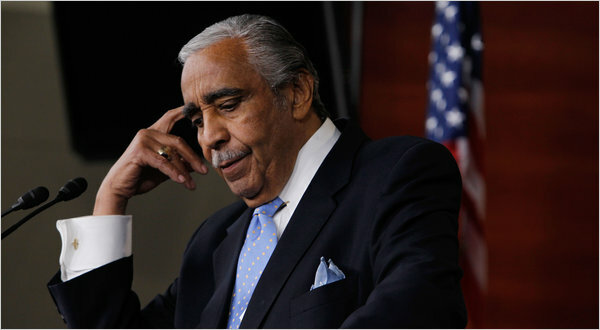 The second, which Rangel (D) very much prefers, is a reprimand. Neither would kick Rangel out of Congress, dock his pay, take away his right to vote – or in any other way prevent him from being the exact same congressman he is today. Rangel, who has represented Harlem for 40 years, didn’t pay taxes on real estate in the Dominican Republic, procured multiple rent-stabilized apartments in a marred manner, and engaged in corrupt tactics to secure donations to a school built in his name at City University of New York. Yeah, 45 seconds of disapproving language ought to about equal that out. It’s true that Rangel is a noted Korean war veteran, who in the early years of military racial integration, was not only wounded but also had 30 soldiers under his command. (Abstract coincidence: his censure occurred as hearings on fully integrating gays and repealing “Don’t Ask, Don’t Tell” occurred nearby.) That doesn’t mean he is unassailable. Did Brooke Astor’s WWII veteran son get off for stealing from her? Congressional ethics standards have improved in the last 40 years, but they still have a way to go. To me, it’s more important to keep things like this from happening again. What has the potential to be more effective is not merely public exposure, but prohibitive fines, and the real threat and possibility of being expelled from Congress.